Snowbound Paisley is a 2002 stallion by Snowbound (TB). 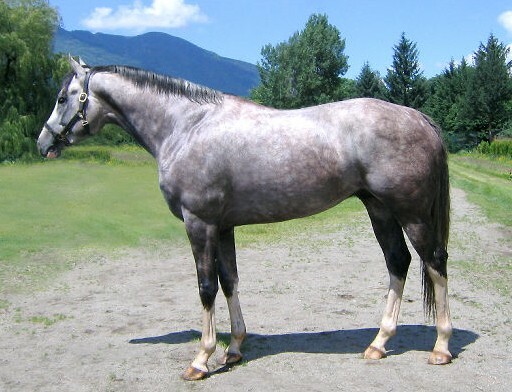 He is double registered as a Thoroughbred and a grey sabino Paint. His owner Heath Purdy describes him as having “outstanding size, conformation, correctness, and the sweetest temperament! Stands full 16:2 and growing like a weed.”! He is standing at Ahshling Stables, Agassiz, BC, Canada.